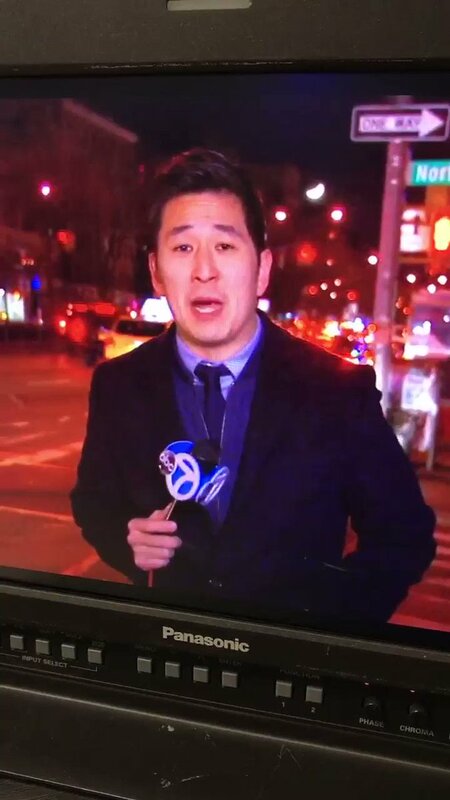 A New York based journalist was giving a live report on ABC-7 Friday night when he was interrupted by a man in a hockey mask who soon pushed him to the ground. Kim has filed a report with the New York Police Department, who he said were taking it “very seriously.” The altercation was caught on camera and shared to Kim’s Twitter account on Saturday, where the victim asked for help identifying his attacker. This is the man who attacked me last night during a live broadcast. If anyone has seen him around please give the 7th precinct a call. Police responded to calls in front of 132 Delancey Street in Manhattan around 11:05 p.m. ET, where Kim was pushed. “There were no injuries reported,” the spokesperson said. A complaint report for harassment, which is a violation, was filed in regards. Kim them appears to turn around to remove himself from the man’s grip, but is unable to. As they struggle, the man repeatedly asks, “What’s up?” before pushing Kim to the ground. Afterwards, the man removes his hockey mask and says, “I didn’t attack you — you attacked me!